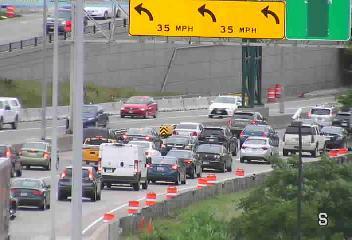 Commuters on westbound I-94 in St. Paul are experiencing a slightly longer drive than normal, and that's due to a crash on the right shoulder at Hwy. 52. Look for delays back at Johnson Parkway. In Eden Prairie, a crash just cleared on eastbound Hwy. 212 at Prairie Center Drive, but the residual effect has traffic crawling from Dell Road. The daily congestion is in place on westbound I-94 in downtown Minneapolis. Plan on 15 minutes from Hwy. 280 over to the Lowry Hill Tunnel. 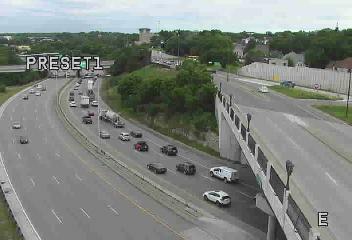 It's not much better on eastbound I-94 heading into the Lowry Hill Tunnel. Blame the backup on a stall near LaSalle Avenue. Elsewhere at 7:55 a.m. look for sluggish conditions on westbound Hwy. 610 across the Mississippi River bridge and on southbound Hwy. 169 from 36th Avenue in New Hope down to Excelsior Boulevard. The Bloomington Strip is heavy as usual, making for 15 minute trips either direction between Hwy. 5 and Hwy. 100. Travel time from I-494 to downtown Minneapolis on I-35W is about 20 minutes.